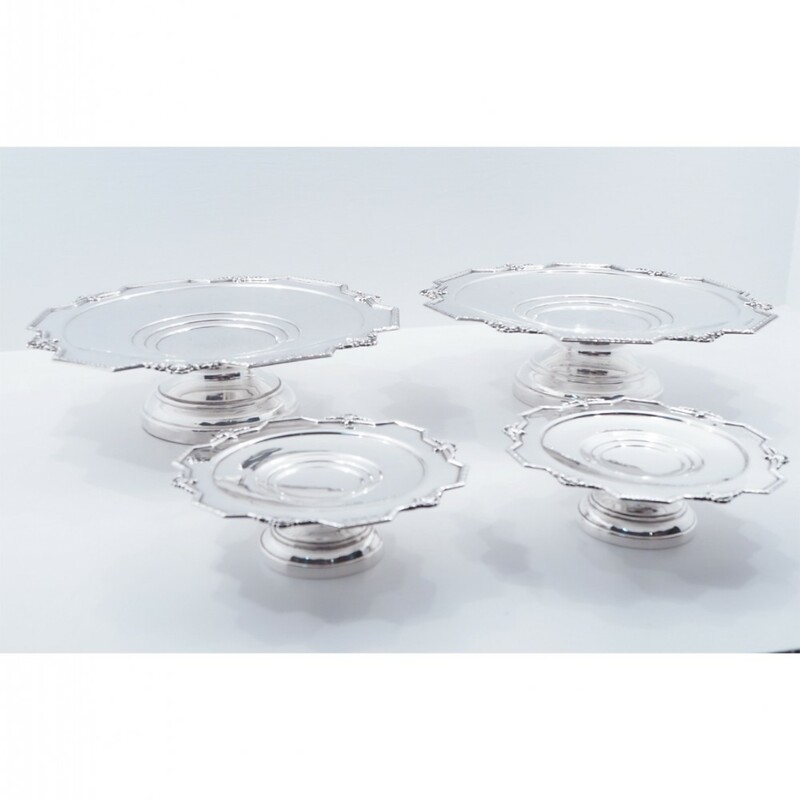 Good quality set of 4 heavy Sterling silver cake serving dishes or tazza's. 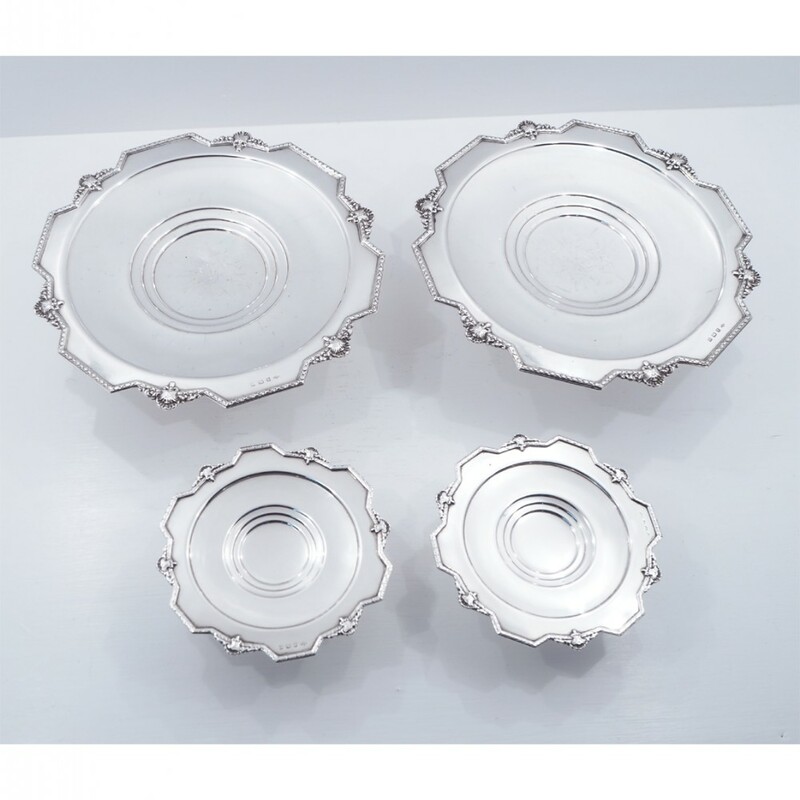 Two large ones and two smaller ones. 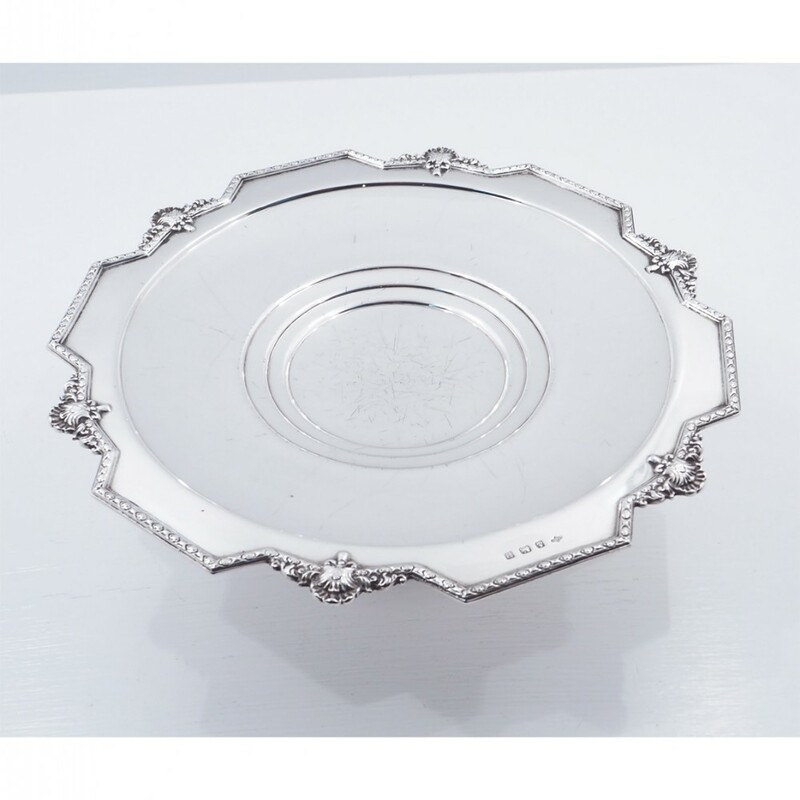 All made by A. E. POSTON & Co. Ltd. of Birmingham and London and hallmarked for 1939. 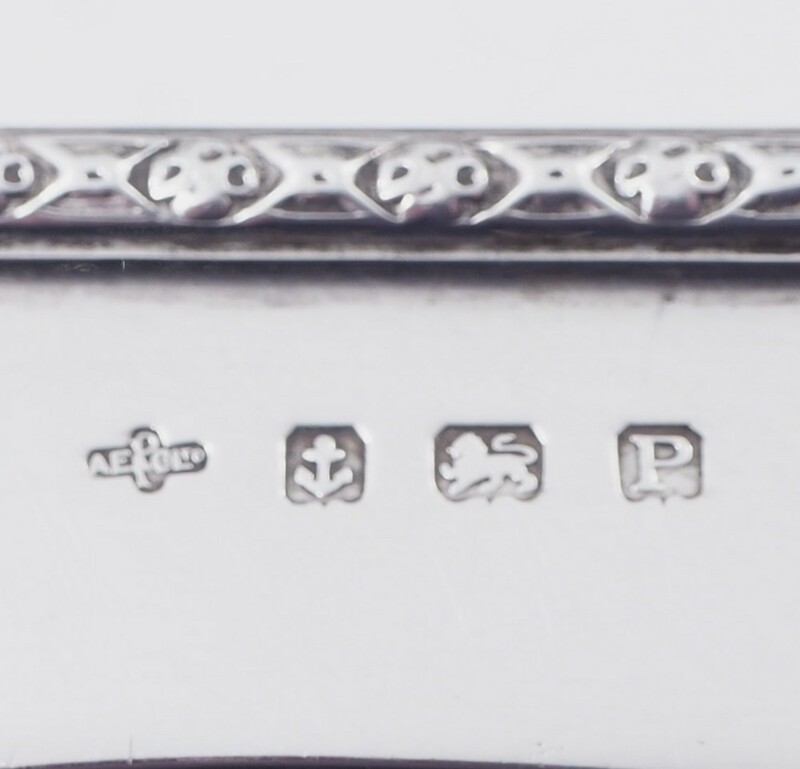 They are all in pretty good condition, a few small dings in places and a few marks to the tops just from everyday use. 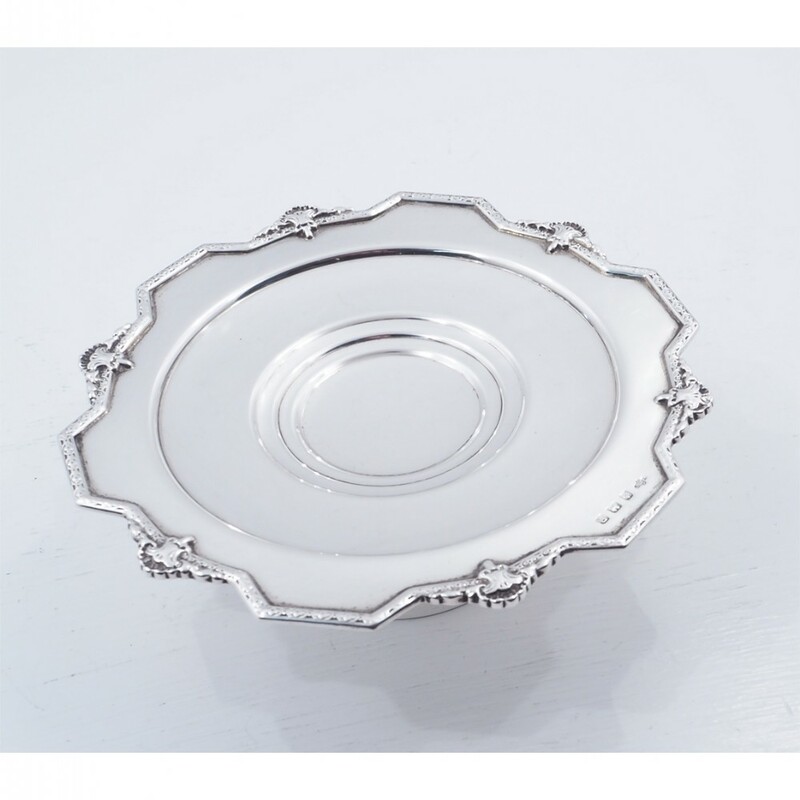 WEIGHT; Total weight is 50oz. 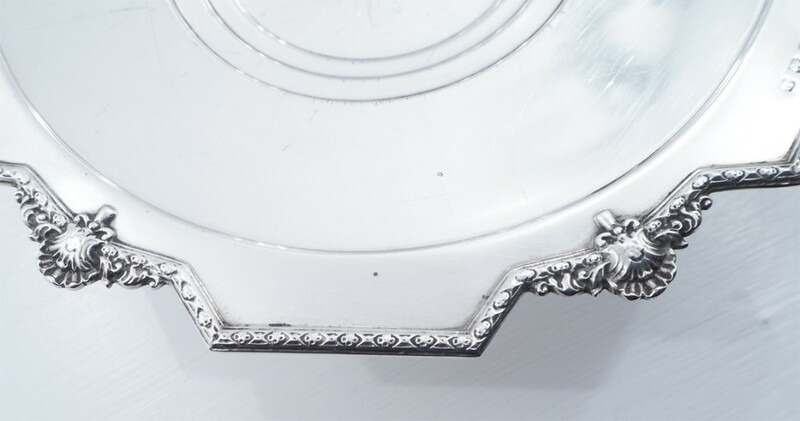 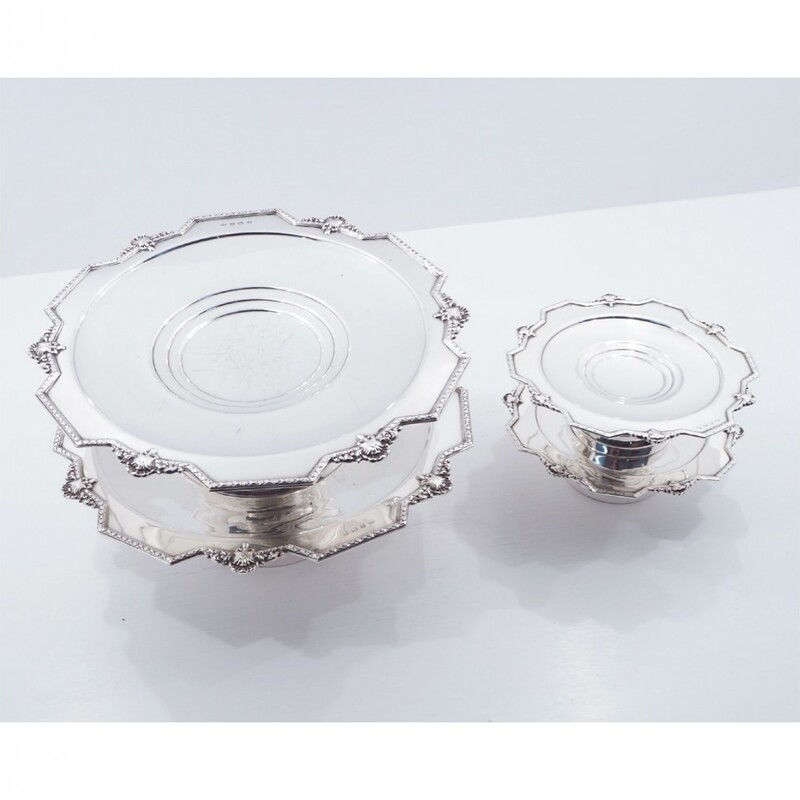 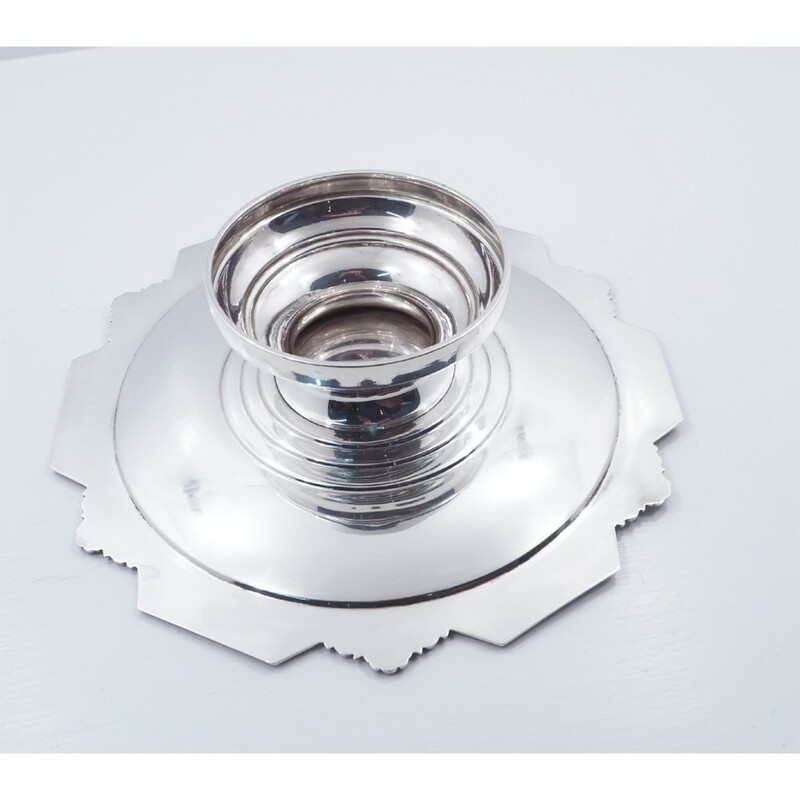 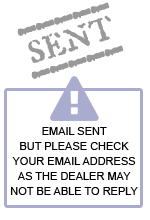 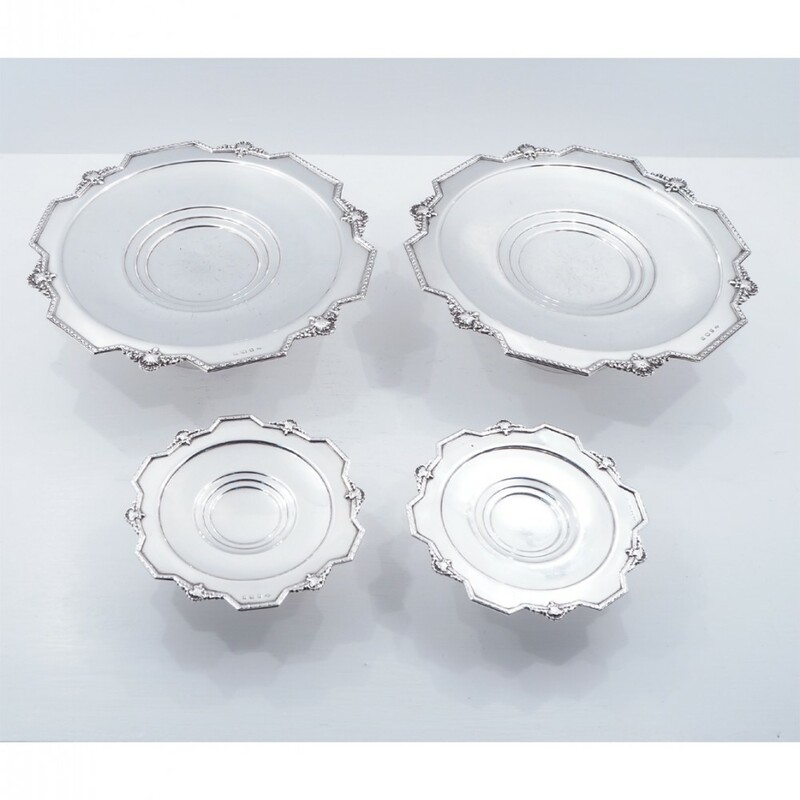 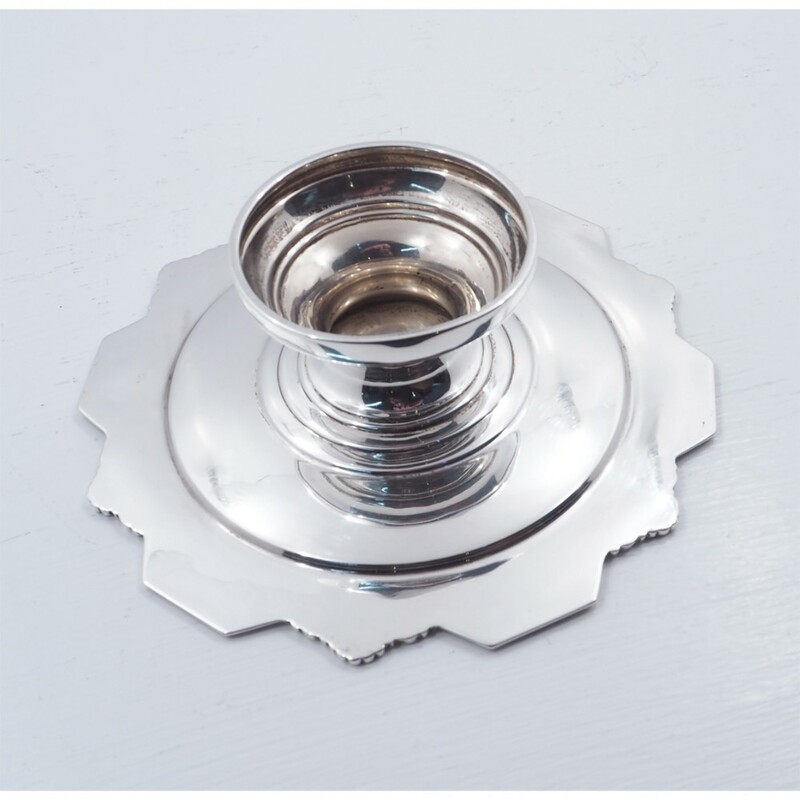 The SET OF 4 SILVER CAKE SERVING DISHES has been added to your saved items.